A 31-year-old Bellevue man has been sentenced to 28 days in jail and placed on probation for three years for selling marijuana on two occasions last summer to an Idaho State Police confidential informant. Sentence for Dustin James Rinebarger was pronounced Monday in Blaine County 5th District Court. Judge Robert J. Elgee also gave Rinebarger a five-year suspended prison sentence, ordered him to perform 100 hours of community service, imposed restitution repayment of $800 and ordered him to attend a drug and alcohol education program as a condition of probation. 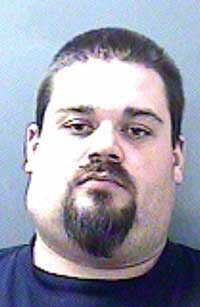 Rinebarger, who has remained free on $10,000 bond since his arrest in December, was not taken into custody at the conclusion of Monday's hearing. Instead, Elgee ruled that he can serve two 14-day jail stretches within the next few months. Rinebarger pleaded guilty in February to two counts of felony delivery of marijuana. In exchange for his guilty pleas, the Blaine County Prosecuting Attorney's Office agreed to have a third felony charge, delivery of marijuana with a child present, dismissed. In pleading guilty, Rinebarger admitted to selling about one-ounce quantities of marijuana in August 2011 on two occasions to an ISP confidential informant. The Blaine County Narcotics Enforcement Team assisted with the investigation. At Monday's hearing, Blaine County Deputy Prosecuting Attorney Matt Fredback said he was recommending a lenient sentence because Rinebarger does not have a significant criminal record. Nonetheless, Fredback said the ISP investigation showed that Rinebarger was regularly involved in the illegal drug trade. "You need to learn from this not to go back," Elgee told the defendant. "The state police didn't get on to you by accident."